Also known as the Will Rogers Highway and colloquially known as the Main Street of America or the Mother Road, Route 66 was a highway within the U.S. Highway System. One of the original U.S. Highways, Route 66 was established on November 11, 1926—with road signs erected the following year.Route 66 underwent many improvements and realignments over its lifetime, and it was officially removed from the United States Highway System on 1985 after it had been decided the route was no longer relevant and had been replaced by the Interstate Highway System. 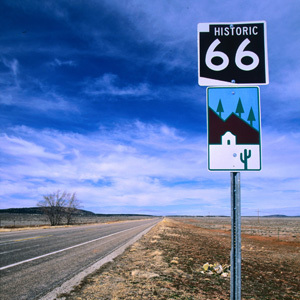 Many portions of the original road are now National Scenic Byways under the name "Historic Route 66." This route, or any section of it, is a good way to see the countryside of the U.S.A. You'll see the vast plains that define the term "big sky." 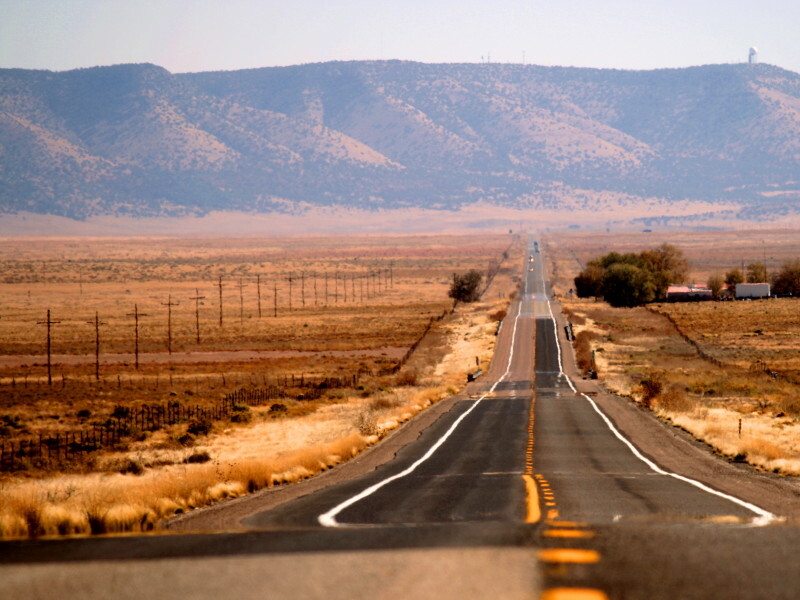 Most people have heard of Route 66. It's iconic. It's a classic American highway recognized in pop culture and its expanse covers many U.S. states. The route original passed through Illinois, Missouri, Kansas, Oklahoma, Texas, New Mexico, Arizona and California. 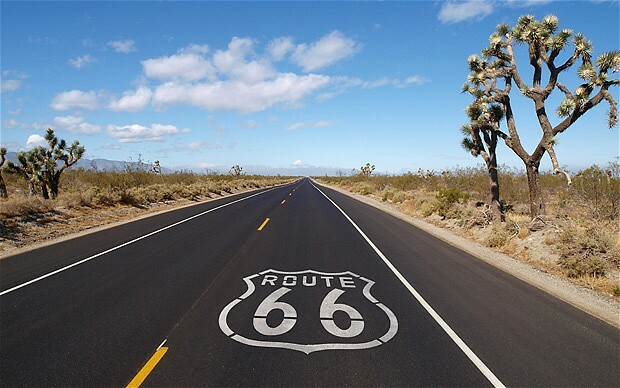 Although it is no longer possible to drive Route 66 uninterrupted all the way from Chicago to Los Angeles, much of the original route and alternate alignments are still drivable with careful planning. When you drive through the New Mexico and Arizona portions of the road, you'll see vivid desert colors in the land juxtaposed with perfect pastel colors in the sky. My favorite thing about Route 66 is that it begins and ends with serene water views. Whether you wind up staring off into the Pacific Ocean or Lake Michigan, your journey through the desert can be complemented with a well-deserved swim if that's what you want. You'll hit plenty of towns along this route. Among the larger towns you'll pass through are Chicago, St. Louis, Oklahoma City, Amarillo, Albuquerque and Los Angeles. 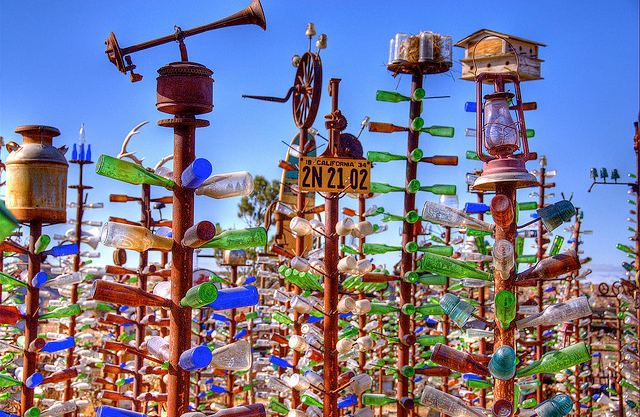 Everything you need to know about Route 66.